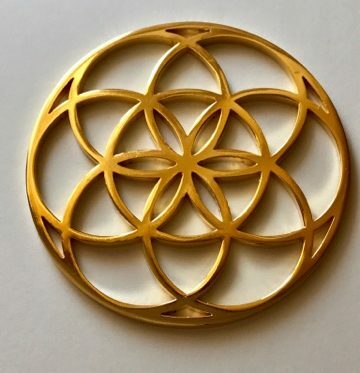 The Seed of Life is a 3.3 inch (8,5 cm) diameter handcrafted Tool that is Gold 24k plated. 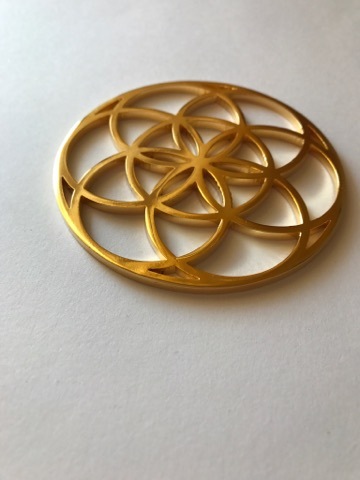 The Seed of Life is a powerful tool you can hold it on your hands during meditation, when you chanting or if you are practicing chakra cleansing sessions or reiki is a powerful tool for energy flow. 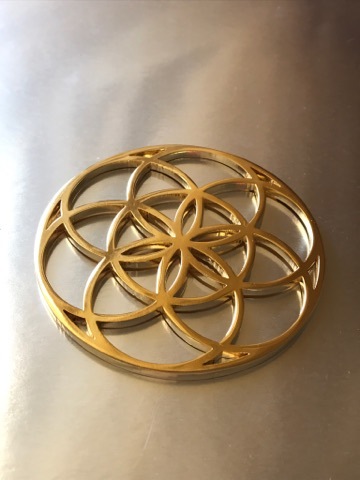 It is a symbol of blessing, fertility and protection. 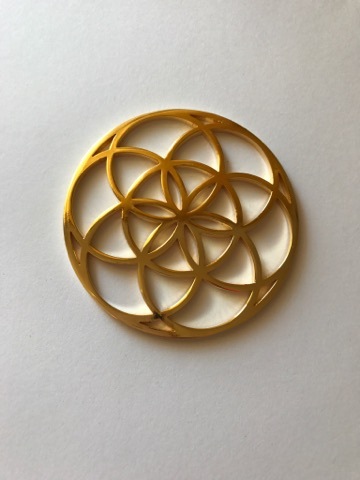 The Seed of life is a symbol of protection for pregnant women. It helps to create new ideas and to open new pathways in life.